May buy 1 for yourself and 1 additional as a gift. May redeem 1 per visit. Appointment required; subject to availability. New customers only. 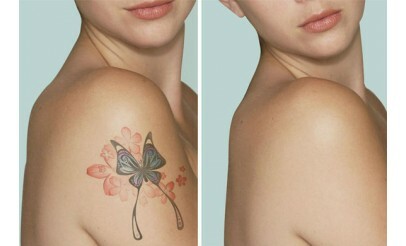 Tattoo removal will require additional treatments over amount purchased. Services must be used by same person. Only valid for the TriVantage laser system by Candela. Expires 6 months after purchase. See the terms that apply to all deals. Aesthetica Medical Spa, conveniently located in Lindon, Utah, utilizes the TriVantage Laser which uses three different wavelengths for the removal of tattoos of all colors. The TriVantage laser is also effective at removing birthmarks, benign lesions, freckles, sun, age spots and more. Aesthetica Medical Spa is directed by Kimball M. Crofts, MD, a board certified plastic surgeon practicing plastic and reconstructive surgery in Utah since 1996.